Sensory Focus LLC, 9781935567585, 32pp. 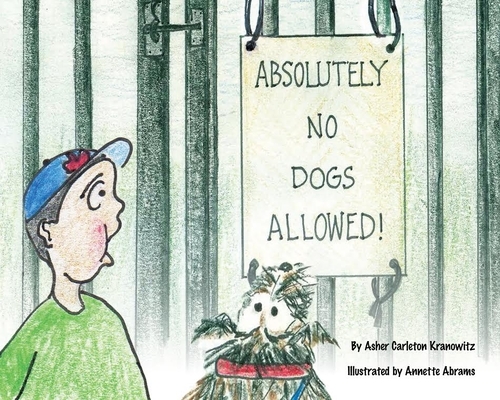 Absolutely No Dogs Allowed tells the story of a boy, his dog, and his A to Z menagerie of animals attempting to enjoy a walk in the park. This delightfully illustrated alphabet book with alliteration highlights our senses and sensory issues, as well as our emotions. Guidelines to help parents and teachers explore the senses and emotions with their young children are included. Asher Kranowitz is currently in middle school. He dictated this book to his grandmother when he was in second grade. The book was inspired by a sign he noticed when visiting the beach. He lives in Barrington, Rhode Island, and loves to play football and basketball. He has a younger brother and a beloved Goldendoodle named Frisco.